I was browsing Pinterest for recipes using ham and cheese and found lots of delicious looking dishes that I wanted to try. I was actually looking for easy to do homemade pizza but there was this one photo captioned “ham and cheese crustless quiche” that caught my attention because it had lots of melted cheese that looked sooo yummy and also because I did not know what quiches were, heehee. Thanks to Google I learned that quiches are basically just made up of eggs, cheese, meat or veggies, well, at least for the crustless types. Those with crusts are more complicated to make. Since quiches seem easier to make, with ingredients readily available, I decided to make that instead of pizza. I also made them in small muffin pans instead of using just 1 pan like a pie because I wanted it to be bite-size. 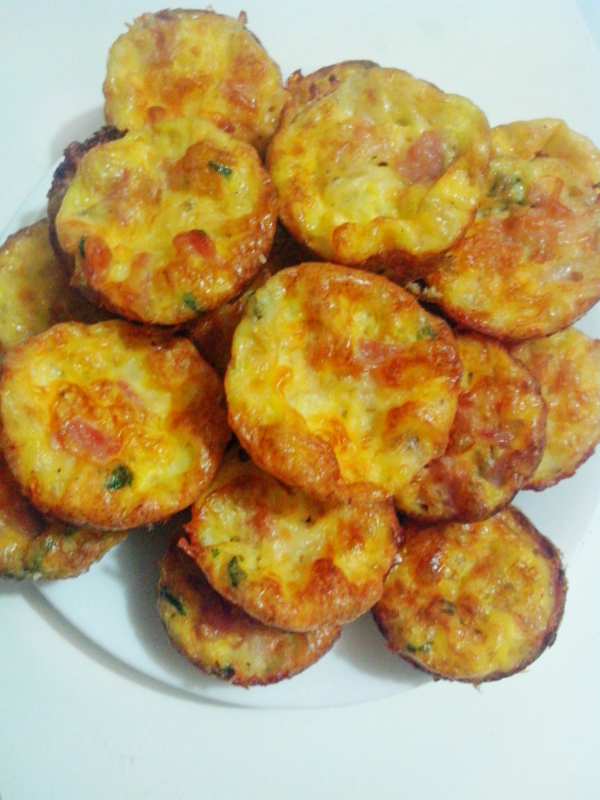 I think mini quiches are great as snacks for the family and can even be served as appetizers for a small gathering like a baby or bridal shower. 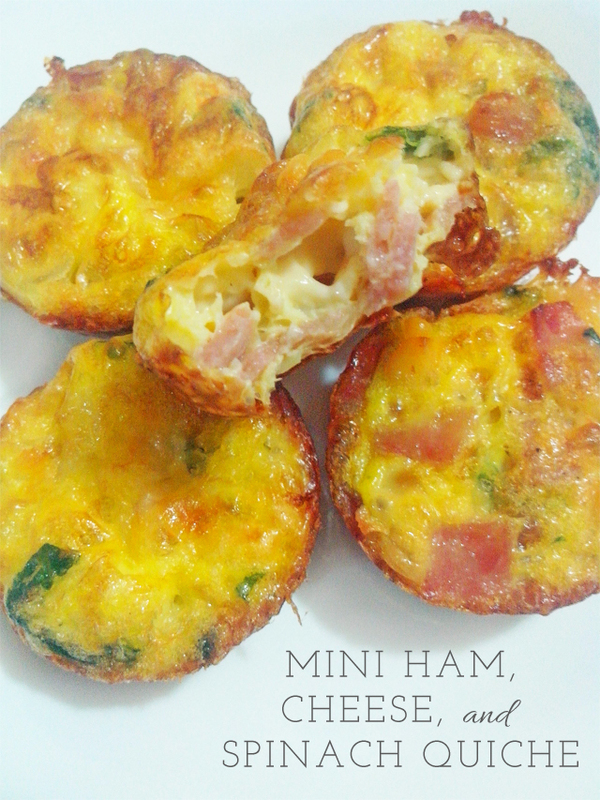 Grease muffin pan and put in equal portions of ham, cheese, and spinach. I love cheese, so I put in more cheese than the ham and spinach. Pour in over the egg dividing it evenly in all the muffin cups. If you want, you can add more cheese on top. Bake for 10-20 minutes or until the quiches begin to brown on top.